Having seen this question often (yesterday again in the OTN APEX forum) and having had the same problem when I first started with APEX, I thought to blog about it. Whenever somebody logs in we want him to go to page 9. If somebody logged out, we set the default page to 9 as that's our default page. Change the Home Link to: f?p=&APP_ID.:9:&SESSION. If no page is specified this is the page to go to for ex. f?p=100 means we're going to application 100 with as default page, the page specified in the Home Link. You can also reference this url by #HOME_LINK#. Thank you Dimitri for your answer. But i think that in the future should be much easier to change such properties. Just a parameter at the application level! You've saved me from a major headache, a simple thanks won't suffice but that's all i can say. I was VERY happy to find this - I agree this should either be made MUCH simpler to do by ApEx, or, even better, be a user choice when creating an application. Making the changes as you said will take me to a specific page. But if i want to send user to different pages how can I do that. e.g if user is dummy he should go to page 3 and if user is abc he should go to page 1. Thanks for this complete and compact Tip! I am facing issue on setting up default page even I have checked my all 3 settings which you have described in this post. My default page should be 7 but sometimes users are redirecting to page 1.
my apex homepage is not working after i run forms builder and forms application. could you please give solution for this. I was able to land into respective pages allocated to Username 'ABC ' and ' DEF ' but got an error when i try to login with username 'HIJ'. What error did you get? Maybe the page didn't exist or has an authorization on? You need to set your page as Public (in security section of your Page attributes). That way for the reset password page they don't need to login. Bare with me here.... I am using the Authentication Scheme using Application Express Authentication. 101 is my login page ... 36 is my change password page. I edited page 36 set the Security -> Authentication = "Page is Public". I click on the Change Password button and it does go to the change password page however when I put in the username = '', Old password = '', New password and confirm password it comes back with Invalid Old Password. I am typing in the correct password for the Old password. For the Old Password field -> Source, Source Used = Always, replacing any existing value in session state, Source, Source Type = Database Column, Source value or expression = 'PASSWORD'. Once I changed the page to public it put "NOBODY" in the User Name field on the change password field. So when I type in an APEX user and the old password new password, confirm the password...it always indicates that the old password is invalid. I want users that have not yet changed their standard password to be forced to change it the first time they login. This seems to work fine when the first page they visit is the Login Page (I have added a brank to a Change password page with the condition that looks at the used password and compares this to the standard password). But I also want this same functionality to work when the user selects a url that point to another page (not the login page). As they cannot use that page whitout logging in, the users is first forced to go to the login page. In those situations, the branching in the login page to the Changes Password page is skipped and after logging in the users sees the page the expected. But in those cases the users has not yet changed the standard password. I just cannot get this to work. Any suggestions? You can have an application process always being fired that checks if they need to change their password. If so, you redirect them to the password change page. Or you could do that with a post_login procedure in your authentication. I have tried both but unfortunately still have not got it to work. The application process does not seem to work whith a Process Point of 'After Authentication'. Changing this to 'On Load: Before Body' does seem to work, but the code to redirect to the change password page throws an error. I am using the htp.init; owa_util.redirect_url procedure to navigate to the change password page. I have the same problem with the post_login procedure. Redirecting using the owa_util.redirect_url does not seem to work. 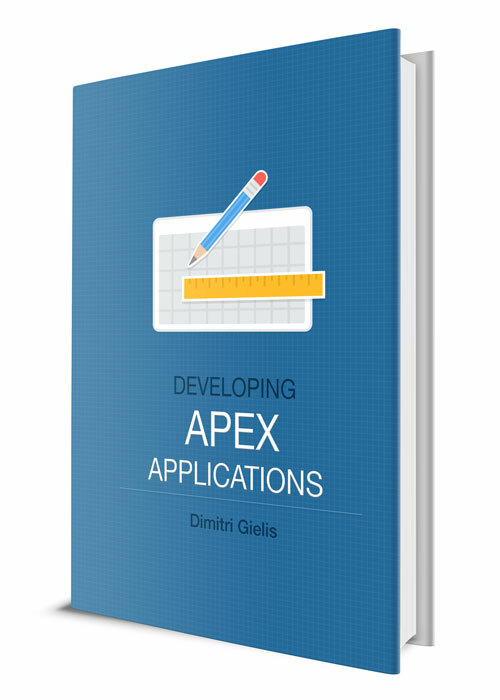 What version of APEX are you using? We are at version 5.1.0.00.45. I have solved my problem by manipulating the FSP_AFTER_LOGIN_URL (session item?). It not a very elegant solution, but is seems to work.